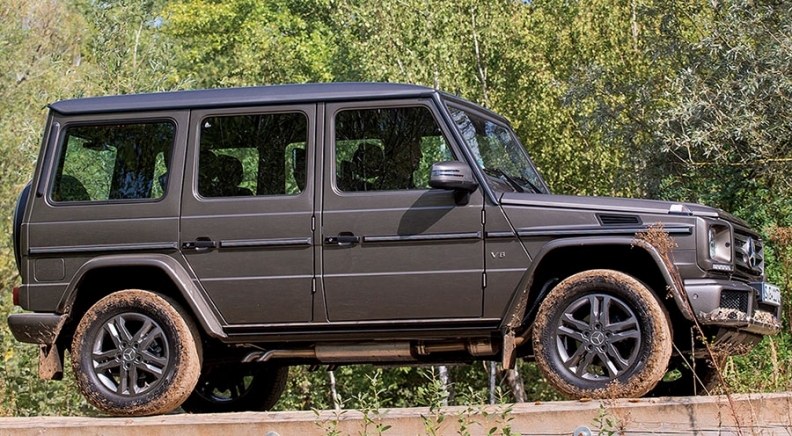 The 2016 Mercedes-Benz G class SUV goes on sale this month. FRANKFURT -- Mercedes-Benz USA CEO Steve Cannon expects sales of the G-class SUV to jump, due to a new base engine and a second AMG version for 2016. "We're going to sell more Gs this year than we ever have in the U.S. market, and we'll sell more next year than we have this year," Cannon said on the sidelines of the Frankfurt auto show. The 2016 models go on sale this month. G-class sales totaled 3,090 in 2014, the second highest since U.S. sales began in late 2001. Through September, G-class sales were 2,438, up 11 percent. The G class, a military-style SUV that dates to 1979, has few visible changes for 2016. Most notable are a new front bumper, updated instrument cluster design and bright paint colors such as purple, orange and "alien green." Bigger changes are under the hood. The base G550 gets a downsized engine: a new 4.0-liter V-8 that produces 416 hp, but consumes 17 percent less fuel than the former 5.5-liter, 382-hp V-8. The 2016 G550 starts at $120,825, including shipping, up about 4 percent from the prior model. The G class also gets a second AMG high-performance model, the G65, with a 6.0-liter, V-12 engine that puts out 621 hp. Prices start at $218,825, including shipping. Cannon called the G65 the "big daddy" of Mercedes' SUV lineup, and predicted, "We'll have demand for it." Mercedes will be cautious about the volume "because dealers don't like having a $200,000 car sitting on their lots." The G63, the nameplate's continuing AMG model, keeps its 5.5-liter V-8 for 2016 but gains power, now producing 563 hp. The G class has the highest AMG mix in Mercedes' lineup: about 60 percent of U.S. sales. Cannon said that mix could skew higher.